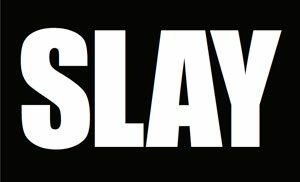 We are SLAY, a content and creative agency based in San Francisco. It’s really quite simple. We created Slay because we believe there is a simpler, better, more efficient and cost effective way to support companies with their content and communications. How? By custom tailoring the perfect team based on your needs. We pride ourselves on our keen aesthetic sensibilities, so there is never a compromise on quality. We’ve simply figured out a more nimble way of outperforming other agencies, at a fraction of the cost.